My 35-year career as a productivity consultant has focused on one simple principle: Clutter is Postponed Decisions®. I first recognized that reality when I was helping clients organize their overstuffed closets. Closets fill up because we haven’t decided whether we’re serious about losing the ten pounds we need to lose to get into that suit again, or whether we are ever going to use those tennis rackets again, or what to do with the candlesticks we got from our favorite Aunt Sally, which really don’t go with the house décor. The principle was further strengthened when I started focusing on the problems clients were having with paper, and the decisions that were postponed, leading up to massive amounts of clutter. I helped them answer the common questions; What papers should I keep? For how long? Where should I keep them? How can I find them again? When I moved on to helping clients with e-mail and other electronic information, the principle once again proved to be true; postponed decisions lead to overloaded hard drives. As a professional organizer, I help people deal with clutter most every day! I see the results and the consequences of hundreds of postponed decisions. Clutter exacts a high price. Although it may seem harmless to have unneeded items in your home, your clutter really is costing you dearly. Money: Are you paying for a storage unit? Have you ever bought something simply because you couldn’t find the one you already own? Time: How much time do you waste looking for lost items? Relationships: Do you find yourself hesitant to invite friends over because your house is full of clutter? Does your clutter cause strain on your relationships? Space: Have you moved into a bigger space to accommodate all your things? Well-being: Could your clutter be contributing to dust, allergies, headaches, & stress? Energy: Is your clutter contributing to a sense of fatigue? Do you get tired just looking around at all that you need to do to declutter your home? Productivity: Is your clutter holding you back from getting other things accomplished? Vitality: Does your clutter keep you constantly feeling guilty because you know you should be dealing with it? Focus: Are you constantly distracted by your piles of stuff? Do you have trouble focusing on other things because you are overwhelmed by the clutter? Freedom: Are you hesitant to travel, move, or try anything new because of the burden of your clutter? Did you answer, “Yes” to some or all of these questions? I’d love to help you find a solution for your clutter problem. 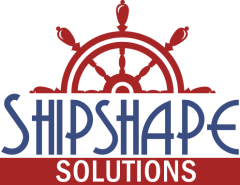 Contact me today (beshipshape.com), and let’s make a plan together!